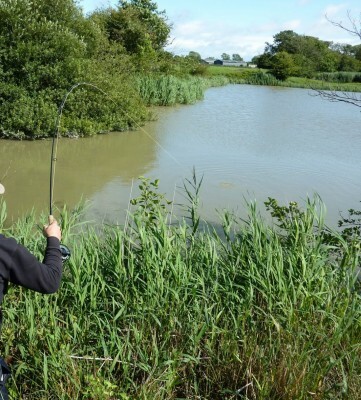 Fishing is permitted on season at the Hailsham Country Park Lake (off Gleneagles Drive) and Hempstead Pond (adjacent to Tilehurst Wood). Both fishing areas are well-stocked with fish including carp, bream, roach, rudd, tench, perch and the odd pike. Daily fishing permits can be obtained from MFC Supplies (Station Road) and yearly season tickets are available from the Town Council offices (£40 adult; £25 senior citizens, disabled and children under 16 years). A current Environment Agency rod licence and passport photo must be produced when purchasing permits. Please contact Karen Giddings on 01323 841702 (karen.giddings@hailsham-tc.gov.uk) for all fishing permit enquiries.